THE RECORD OF INTERNATIONAL AWARDS FOR SEMELI WINES HIGHER THAN EVER! 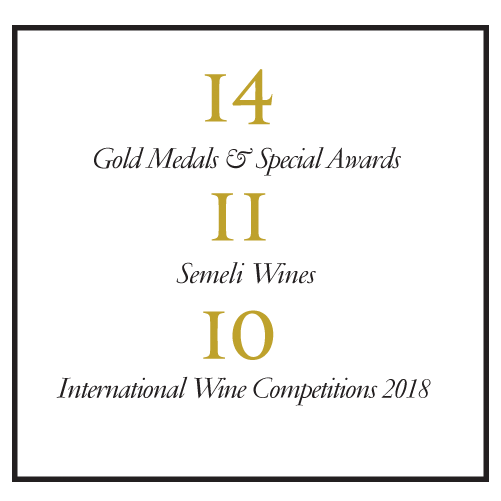 Semeli wines are consistently well received and awarded at major international competitions, garnering strong reviews by respected wine writers and critics from both sides of the Atlantic. In 2018, however, the number of awards has exceeded all previous records. 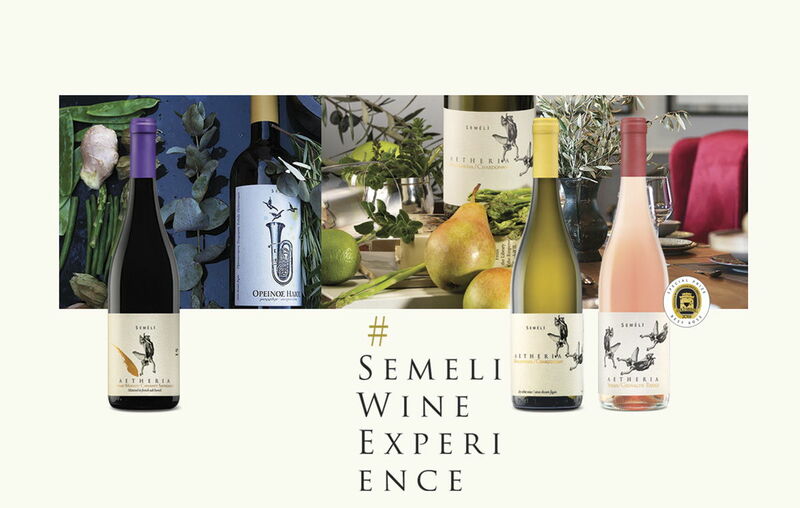 11 Semeli wines have already received 61 awards at international competitions worldwide! Aetheria Rose made a strong impression at the 2018 Thessaloniki International Wine Competition and won the highest award in its category. Aetheria Rose 2017 completes Semeli's sophisticated Aetheria wine "trilogy" with a crisp, translucent and utterly irresistible new-age style rose that pairs extremely well with gourmet summer fare! Two French varietals, Syrah and Grenache Rouge, from upland Corinthia and the slopes of Mt. Cithaeron respectively, combine to produce this excellent rose. From an altitude of 450m the Grenache Rouge contributes its ethereal character, while the Syrah, from an 800m elevation in mountainous Nemea, adds the vibrancy and solid fruity flavor of an exuberant rose. Both regions feature clay soils and mild weather conditions, with cool summer nights helping the grapes ripen properly, maintain their acidity levels and produce well-balanced wines with pro¬nounced varietal characteristics. Semeli adds a single vineyard Gewürztraminer to its white wine portfolio! Semeli Gewürztraminer, our brand new white, is produced from grapes grown in our company-owned single vineyard located near the Zevgolatio township in the region of Mantinia at an altitude of 650m. This variety hailing from Alsace, France, has adapted well to the area's clay soil and particular weather conditions, marked by heavy winters and warm summers with low night-time temperatures, aided by favorable wind currents flowing from the nearby Artemisio and Oligyrtos mountain ranges that gently caress the vines throughout the year. A forward-looking winery, Semeli is among the first to focus on the growing trend of wine tourism and the promotion of wine culture’s time honored traditions. Travellers of all ages, students and oenophiles from around the globe visit the Semeli Estate to get a fascinating insight into the world of viticulture and winemaking.